Kake is a village in Alaska. In 2010, it had 557 residents, down from 710 in 2000, when there were 171 families. As the map shows, it is very remote and without road access. When thirteen year-old Mackenzie Howard was murdered, it was up to the state police to investigate. 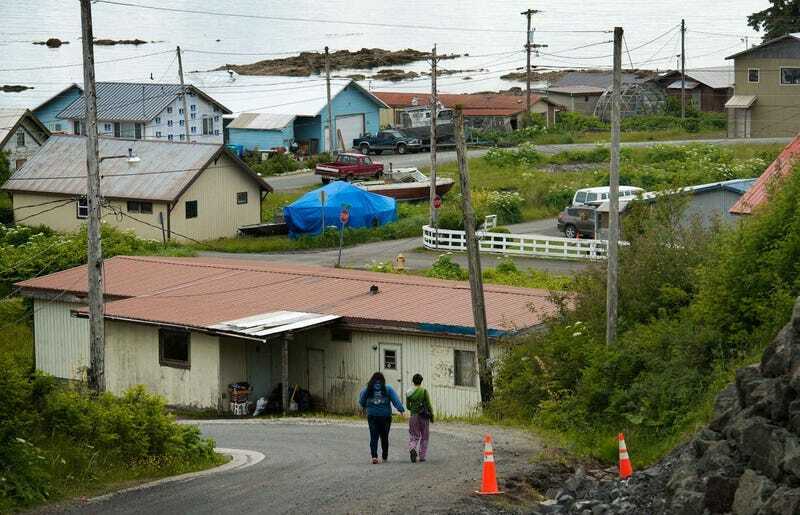 As another installment in a series from Alaska, video journalist Whitney Shefte produced the following six minute documentary and photographer Linda Davidson put together a slideshow from the village, while staff writer Sari Horwitz filled-in the gaps with words. According to the graphic embedded in the Washington Post story, Alaska has one state trooper for every million square miles. It took until the next day for investigators to arrive at the crime scene, which had been kept clear by the former Chief of Police — the department had been disbanded due to lack of funds — and another ten days to make an arrest. Prior to this report, Shefte produced eight minutes about the Postal Service subsidy on grocery deliveries to remote Alaskan villages with reporter Lisa Rein, which could help draw a picture of how remote parts of the state can be and Davidson published a slideshow from a Native American festival in Juneau, which included some members of the Tlingit tribe.